The tank adapter is suitable for approved gas cylinders - NOT - for a car refuel! 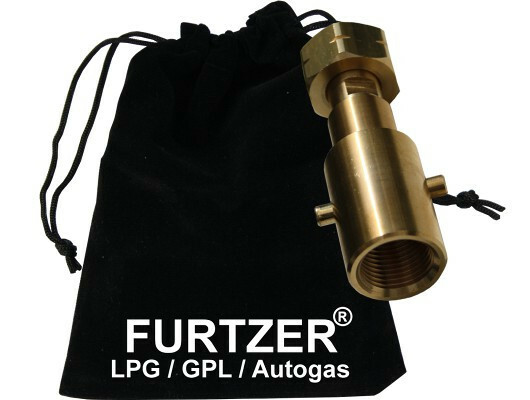 Our Furtzer® LPG GPL autogas tank adapter BAJONETT in a long version has a length of approx. 90 mm. 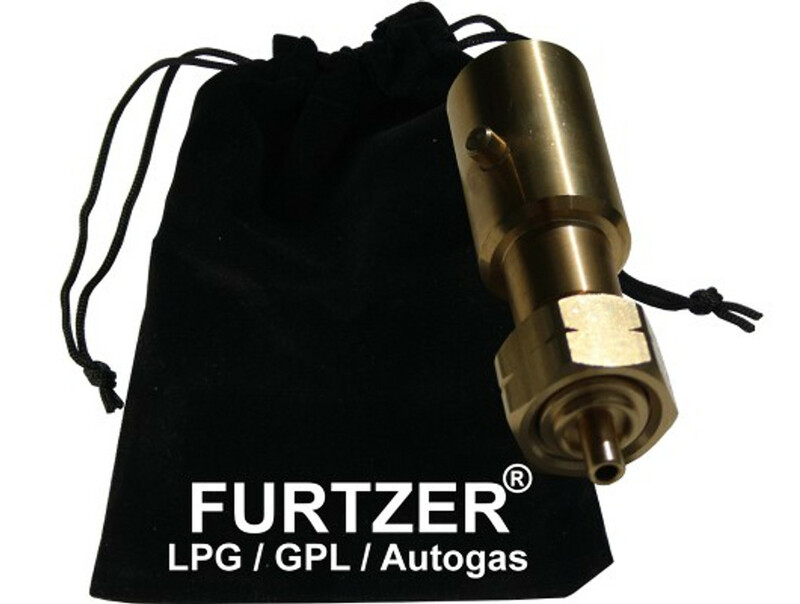 The adapter is required to securely and stably connect the tank connection installed on gas cylinders with the fuel nozzle. The adapter is screwed into the gas cylinder tank opening and the fuel nozzle is put on the adapter. Suitable for gas cylinders in Germany (and other countries) with 22 mm left-hand thread. All parts are made with modern CNC lathes from a high quality brass piece. Of course, all adapters meet the requirements of the ECE R67.01 standard. BAJONETT connections are common at LPG filling stations in Spain, England, Norway and the Netherlands. Only for legally permissible gas cylinders with level indicator! The filling of impermissible containers is prohibited in Germany and can lead to explosion damage! Our tank adapters are a branded product. Furtzer® is a registered trademark.